Christmas drink-driving shame | What Car? 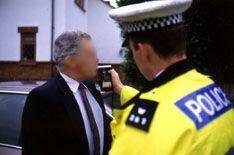 Police breathalysed 24% fewer motorists over the Christmas drink driving campaign but found a greater proportion of drivers over the limit. Police tested 169,838 motorists between December 1 and January 1 - 53,585 less than during the same campaign in 2009. Police blamed the bad weather in December for the fall in the number of motorists being tested. Despite the 23.98% drop in tests, police found 6613 drivers were over the limit or refused to take the test, 1025 less than in 2009. That means the proportion of drivers providing a positive test increased by 13.9% to 3.89%. Chief Constable Mick Giannasi of the Association of Chief Police Officers said: 'Death on the road devastates peoples' lives and has a huge financial cost to society.